Changing the face of general dentistry and prosthodontics in Bismarck, ND. Proud to be serving her hometown community. Dr. Sellers is a Bismarck, ND native and attended Century High School. She met her husband while attending dental school and they married in 2010. They both love North Dakota and always wanted to settle down here. They enjoy the family-oriented community in which they can raise their own family. Dr. Sellers especially likes to spend time outside in the summer and relax with loved ones. At 16 years of age, Dr. Sellers decided to pursue a career in dentistry. She attended the University of North Dakota and then completed her dental degree at A.T. Still University in Mesa, AZ. Her specialty is prosthodontics (only 2% of dentists achieve this), which required her to continue her education with three years of advanced training at the University of Texas. After completing her residency in Houston, Dr. Sellers moved back to North Dakota and began her journey to opening the Aesthetic Dental Center. She was proud to receive her board certification in Prosthodontics and offers a variety of cosmetic and restorative services to her patients. Knowing she can make a difference in someone’s life through changing their smile is what really motivates Dr. Sellers. Our office tagline is “Everyone deserves a beautiful smile” and she truly believes that making someone smile can impact their lives and the lives of others around them. Dr. Sellers also enjoys learning about her patients and being able to relate to them and build relationships with them. Our Bismarck dentist has excelled in her field by placing a real emphasis on the experience of each individual patient. What Can You Expect With Dr. Sellers? Take 2 minutes and watch our video. The Bismarck Tribune has identified Dr. Krysta Sellers as an exceptional professional under the age of 40. Our caring Bismarck dentist, Dr. 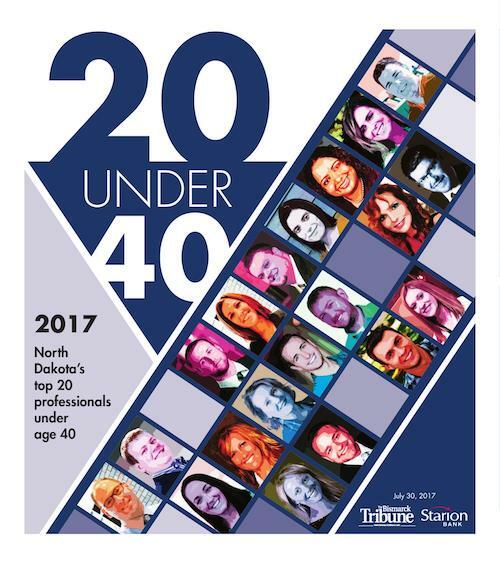 Sellers, landed on the list of North Dakota’s 20 most successful professionals under the age of 40 in 2017. This is truly an honor for our doctor and something that reflects her hard work and dedication to dentistry. The Bismarck Tribune includes information about the work Dr. Sellers does and why she has been at the forefront of dentistry in North Dakota. This article includes a question and answers session with our dentist and some insight into her professional life.  You can read the article by clicking on the button below – it is well worth a read! Dr. Krysta Sellers and her team are just awesome. It is a beautiful and very clean facility. I absolutely love the massaging chairs you lay in while her team works on your teeth. I fall asleep in them every time because they are so comfortable and because her team is incredibly gentle. I recommend Dr. Krysta Sellers and the team at Aesthetic Dental Center for all your oral hygiene and dental health needs! 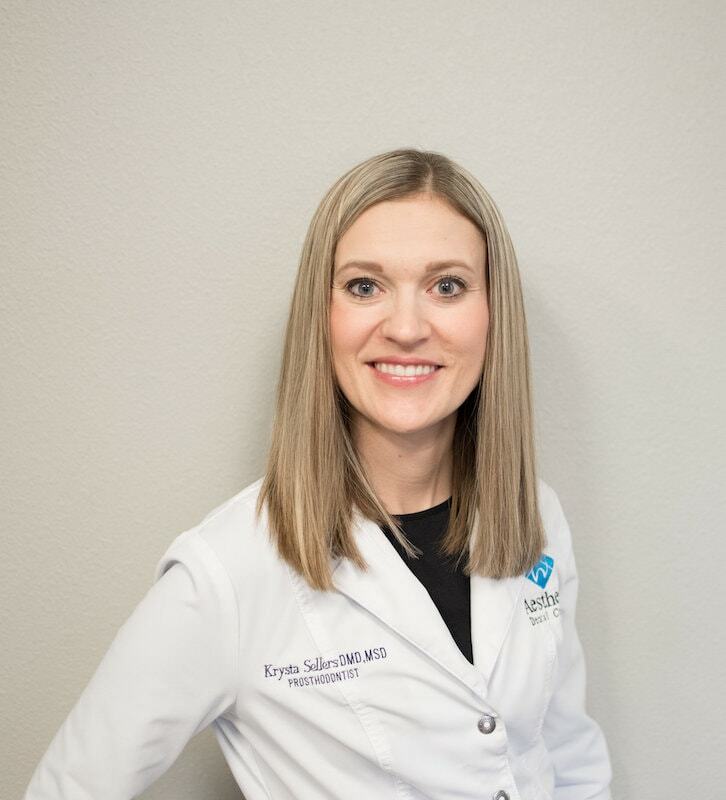 Find out a little more about Dr. Krysta Sellers. What do you do outside of the office? I like to spend time outside in the summer and relax with family. I’m usually chasing after our daughter on the weekends, trying to keep up. I use yoga for relaxation and exercise. My husband; he is very supportive of my dreams and career. He also has a passion for his career and love for our family. He motivates me to always be better in my career while still making time for family. What “lesson from mom” do you still live by? You can do anything you set your mind to. My parents always believed in us and never restricted our dreams. Neapolitan ice cream because you can be three flavors at once! Smooth vanilla, sweet strawberry, and decadent chocolate. Come and meet our expert or learn more about her supportive team.